Repetition is a very useful visual aid in compositional design. A repeated pattern that you can lead your eye through the frame (I almost always prefer diagonals) can often strengthen a composition. In order for something to feel like a repeated pattern, it's usually good to have three or more in the pattern. 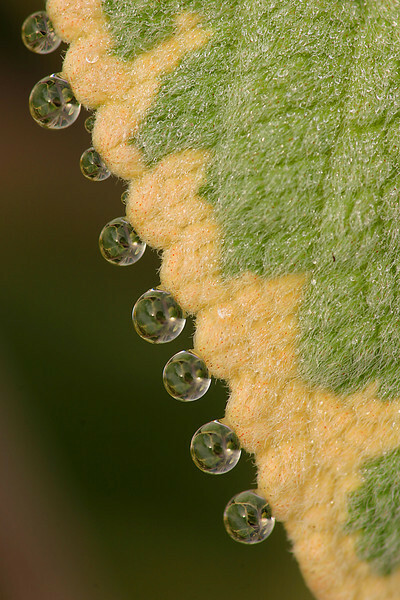 We don't often notice patterns of repetition in nature. In the photograph to the left, the repetition is obvious to everyone looking. But very often, patterns of repetition only appear to be so when you are looking at the pattern from a particular angle. 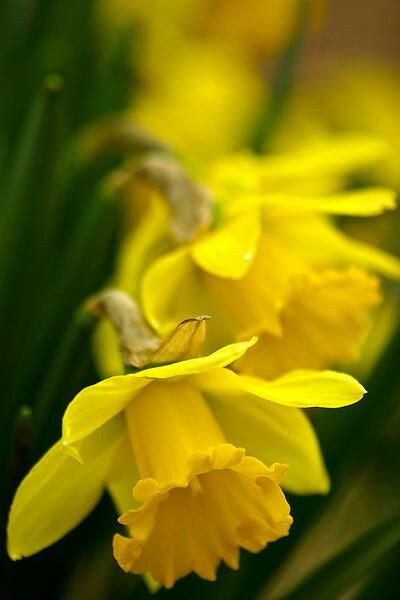 In the photograph below, the daffodils were simply a few in a group of about 20 to 30 flowers. I had to find an angle of view that would allow them to show up as a repeated pattern, and I had to place the camera close enough to the flowers to exclude other flowers that competed with the design pattern I wanted. Also, you do not have to have all your points of repetition in focus, as in the above photograph. They can fade softly out of focus, as in the photograph to the right. Sometimes using a shallower depth of field can hide elements of the scene that do not quite fit the pattern. Seeing patterns of repetition comes with practice as you learn how to arrange all the visual elements of a scene to support your composition.